Issue six is HERE! Don't miss it! Want to know when we have a new issue ready? Join the New Issue Mailing List on Yahoogroups. The name of the list is "phanzine." I haven't had much in the way of submissions and have been busy with graduate school, hence the reason it's been almost a year since th elast issue. If you have anything to contribute, please do so and I'll start putting together another issue! This magazine is free to everyone on the Internet. Those of you that do not have the Internet and wish to get this magazine delievered by mail will have to pay for the price of postage and the cost to print out this magazine. Email us at magazine@lacarlotta.com if you are interested. We would like as many people to contribute as possible. If you have an idea for a story, fan fiction, artwork, or would like to interview someone, please email us and let us know! Also, if you have reviews of shows or thoughts on any of the stage versions/books, we'd more than welcome your letter. This Phanzine is for all Phantom fans and we want your input! Please note: My computer can only handle image files that are .gif or .jpg - also, please don't send huge files! If you cannot make the file smaller, you can either upload it to a website (there are free places like Geocities) or email me to make other arrangements. NOTE: We do NOT respond to emails asking us when Phantom will be in your town next, where to buy souvenirs, or who was the Phantom on May 30, 1992 in Boston. There are sites on the internet that can tell you this information (a couple good ones are The Phantom Nexus and The Phantom Messageboard. You can also see some frequently asked questions here). 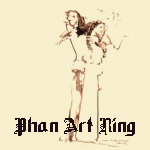 Want to join the Phantom Phiction Ring?